Did you ever notice that the biggest hill of a rollercoaster is always somewhere in the beginning of the ride? This is so that the cars can develop enough momentum from the first hill to propel them through the rest of the course. Getting to the top of that first hill, however, takes some work. 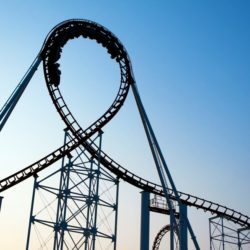 -> Continue reading ACUPUNCTURE THRILL RIDE!